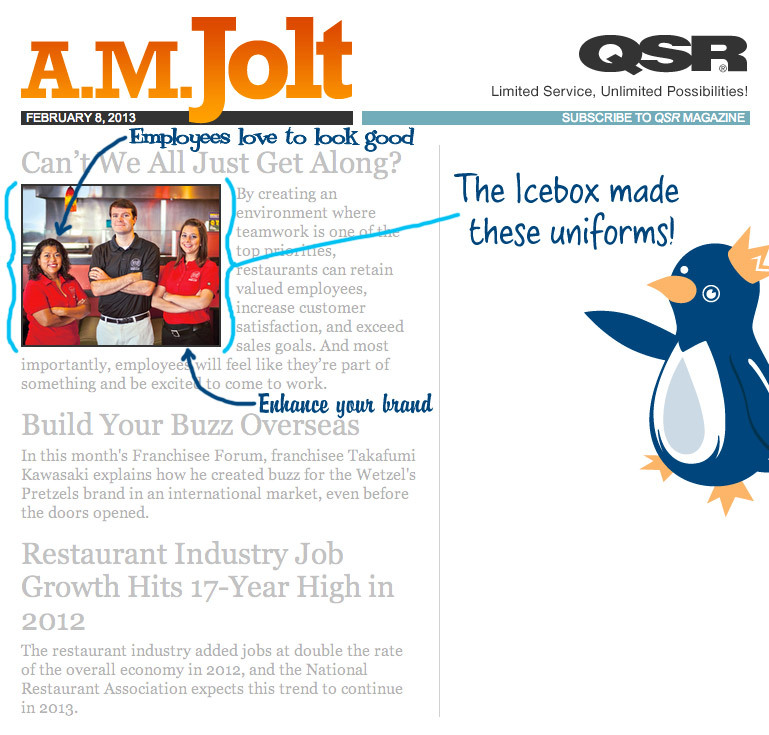 Today, The Icebox's work was highlighted in QSR Magazine's A.M. Jolt newsletter! Our uniform programs help build and reinforce your brand as well as make for happy employees and happy customers. The Icebox creates role-specific apparel collections that project a unified brand image while offering variety and choice… without breaking the bank. Contact us to learn how we can transform your image!